Congratulations to the vendor and purchaser of this property in SUTTON DROVE, SEAFORD. 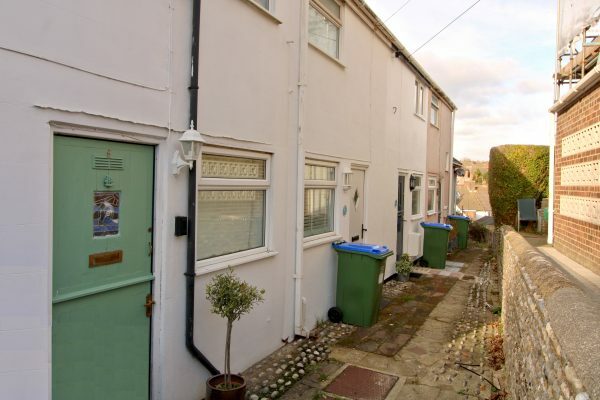 A charming mid terrace character cottage situated in this extremely convenient position approximately half a mile from Seaford town centre and within easy reach of bus routes and all amenities. The property, which we understand dates back more than 100 years, has been lovingly restored. The recently installed kitchen/breakfast room has an exposed brick feature wall and the lounge has the benefit of an attractive wood burning stove. On the first floor is the master bedroom, bedroom two and a newly installed bathroom, all with exposed wood floorboards. To the rear of the cottage is a private, westerly aspect and enclosed patio, which has far reaching roof top views. Further benefits include newly installed gas fired boiler and central heating, uPVC double glazed windows and external doors. Offered for sale with vacant possession and no onward chain.